One of the key initiatives of FijiFirst party in its manifesto was improving the Young Entrepreneur Scheme (YES). This year, the scheme has been made better. This scheme was a brainchild of FijiFirst Government and Attorney-General Aiyaz Sayed-Khaiyum where young graduates applied for a grant of $20,000. Now, the maximum grant one can receive for Government to set up their own business is $30,000. Also, previously people up to 30 years of age could access the grant, now Government has reviewed the age and people up to 40-years-old can apply for this grant and get the money they need to start up their own businesses. One other change Government has done to the scheme is to allow those who do not have formal qualification such as a degree the opportunity to apply for this grant. Some of the recipients of this grant includes Rishesh Sharma, a young engineering graduate from India who is now a farmer in Lautoka who farms using hydroponics. Another recipient, Adelene Tutu, who is a mother of four finally said her grant was used to launch a fitness app, a first for Fiji. Get Lean Fiji operates via a mobile application and delivers meal plans and 35-minute workouts for users across all geographic locations in Fiji. 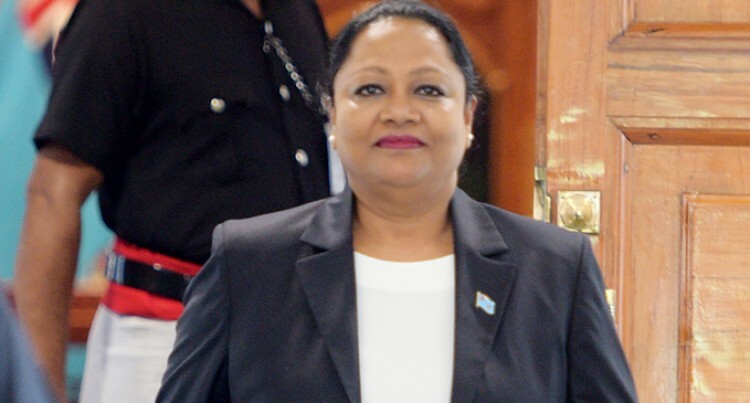 Minister for Industry, Trade and Touris, Housing and Community Development Premila Kumar said: “YES programme was looked after by the private sector so it was their recommendation that we remove the restriction on non-graduates and increase the age to 4o,” she said. Ms Kumar encouraged all youths to take advantage of the programme and become job creators rather than job seekers. The successful recipients will also undergo mentoring and training before they start their businesses.